Tickets go on sale for Prism Concert by the SRHS Band. 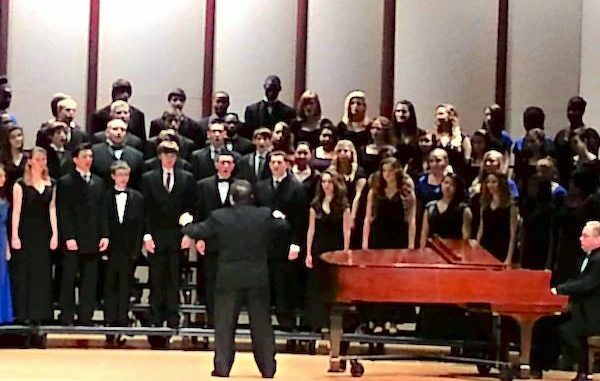 SEBASTIAN – Prism is one of the best concerts by the Sebastian River High School in the Indian River County School District. Tickets for the Prism Concert are available at the SRHS Band website, or by visiting the school’s Main Office on Mondays, Wednesdays, and Fridays. The concert will be at the Sebastian River High School Performing Arts Center located at 9001 Shark Boulevard in Sebastian. Tickets are $15-$30. Call 772-564-4387 for more information. Thursday, December 8th 7:00 p.m.
Friday, December 9th 7:00 p.m.
Sunday, December 11th 2:00 p.m. The concert is Sebastian River High School Music Department’s largest fundraising event. It features a 2-hour show that features the band’s talents of jazz, the Flag and Dance Line and the SRHS Choral Program. The annual Sebastian event is held on the first or second week of December. Prism’s Grand Finale is also something to see that showcases a full chorus followed by the Drum Line and the entire 250-member Marching Sharks Band.